History is witness to the triumph of the ancient Roman army, as evidenced from the Roman empire in its apical scope – which held sway over a major chunk of the known world, ranging from Spain to Syria (and Iraq), and from North African coasts and Egypt to most of Britain. 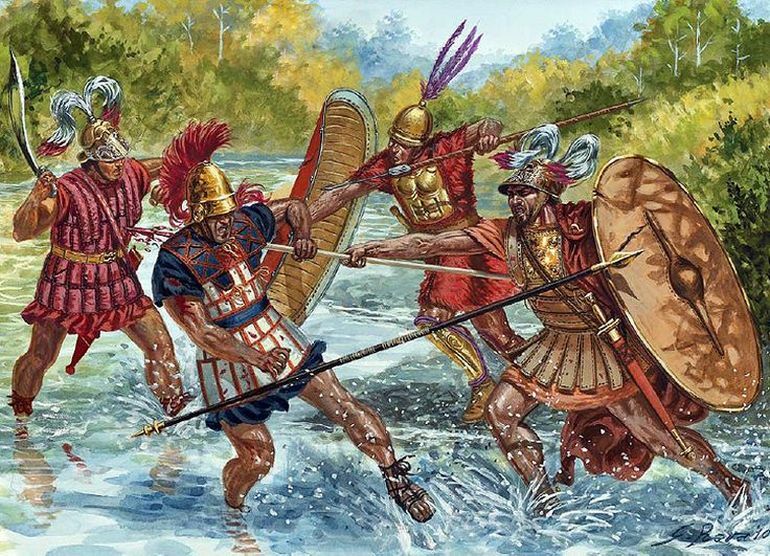 And while this ancient military was known for its sheer discipline and incredible organizational depth (check out this superb video), the true strength of the Romans intrinsically pertained to their ability to adapt. This ambit of adaptability was demonstrated through logistics during the Second Punic War, where the Romans ultimately emerged victorious, in spite of (possibly) losing one-tenth to one-twentieth of their male population in a single battle (at Cannae). And complementing their unflinching capacity to bounce back from disastrous situations, was the evolution of Roman battle tactics over the centuries. To that end, most of the Roman tactical developments were actually ‘instigated’ by their foes, and as such many of the successes of the ancient Roman military system can be attributed to their inherent capacity to simply ‘react’. This fascinating graphical video concocted by YouTuber Historia Civilis aptly showcases the ‘reactionary’ evolution of Roman battle tactics. 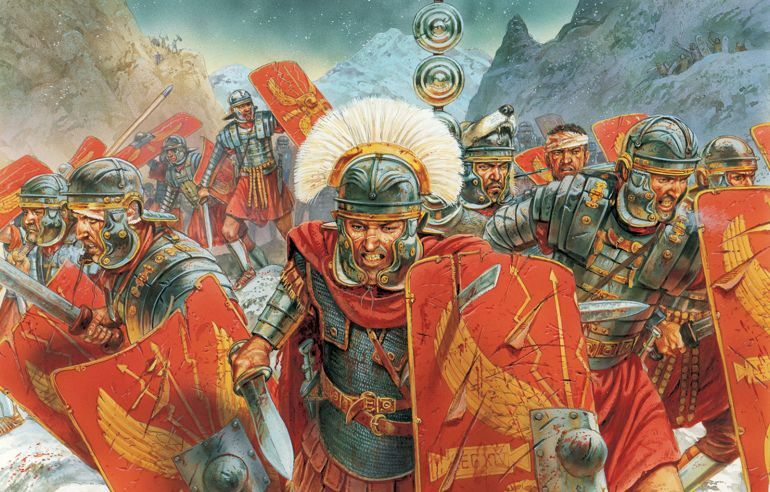 And while the content treads a simplistic (though nifty) overview, we can get the core idea behind the Roman military system and how its adaptability set it apart from most of the ‘stagnant’ armies of the ancient world. While the video doesn’t really cover the scope of the Romans during their initial days, the earliest Roman army equipment’s archaeological evidence ranges far back to 9th century BC, mostly from the warrior tombs on the Capitoline Hill. As for the literary evidence, they mention how the earliest Roman armies were recruited from the three main ‘tribes’ of Rome. This shouldn’t come as too much of a shock (for those who are used to reading about the ‘civilized’ nature of Rome), since the settlement of Rome itself started out as a backwater which was inhabited by cattle rustlers who made their camps and rudimentary dwellings among the hills and the swamp lands. As for the evolutionary part, the transition of the Roman army from ‘tribal’ warriors to citizen militia was achieved in part due to the Roman society and its intrinsic representation (with voting rights) in the Roman assembly. To that end, the early Romans were almost entirely depended on their citizen militia for the protection and extension of the burgeoning faction’s borders. These militiamen were simply raised as levy or legio – which in turn gives way to the term ‘legion’. In essence, the so-called legions of early Rome were ‘poor’ predecessors to the uniformly-equipped and disciplined soldiers of the ensuing centuries (which we have discussed later). The video starts off with what can be termed as the first solid formation of the Roman army (when Rome was still a city-state kingdom). And quite unsurprisingly, the Roman military system of this time was inspired by its more-advanced neighbor (and enemy) – the Etruscans. 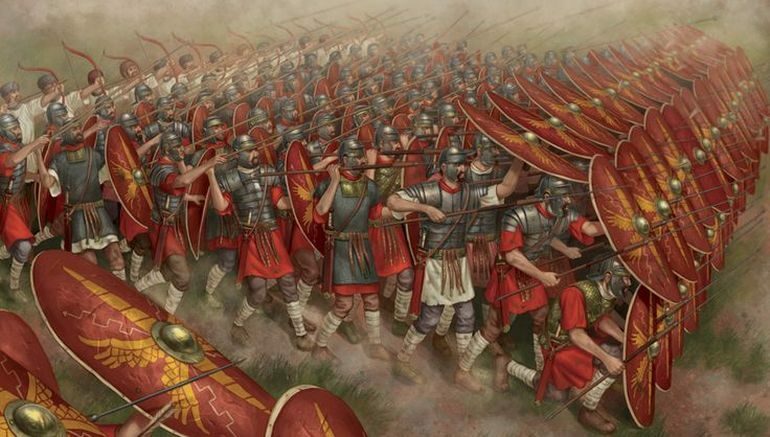 In fact, the mass formation of hoplites fighting with their shield and spear – known as phalanx, was already adopted by the Greeks by 675 BC, and reached the Italy-based Etruscans by early 7th century BC. 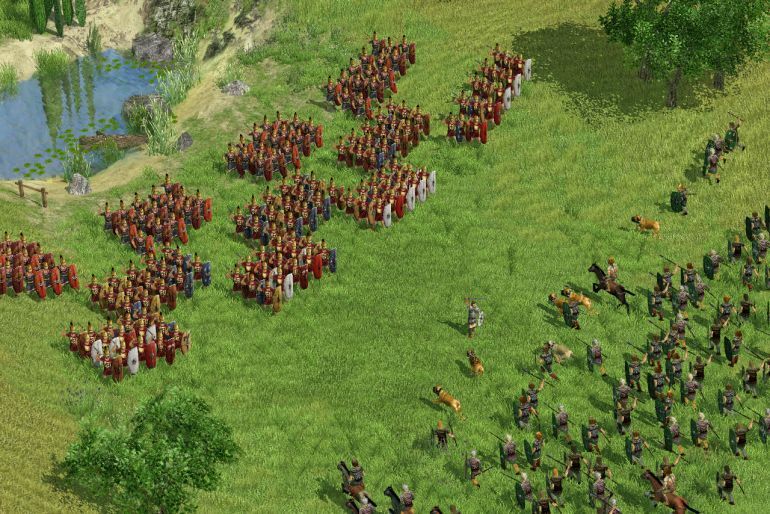 The Romans in turn were influenced by their Etruscan foes, and thus managed to enact many of the rigid Greek-inspired formations along with arms in real-time battle scenarios. Many ancient authors conform to this Roman army adoption of ‘foreign’ tactics. For example, Diodorus Siculus (In his The Library of History) mentions how the Romans ditched their light rectangular shields and endorsed the heavier bronze shields of the Etruscans. This military replication in turn allowed the Romans to triumph over the Etruscans. Anon (in his Ineditum Vaticanum) also supports this view by saying how the Etruscans were given a taste of their own medicine, when the Roman army embraced the very same tight hoplite formations to counter its enemies. As per historical tradition, the adoption of the hoplite tactics was fueled by the sweeping military reforms undertaken by the penultimate Roman ruler Servius Tullius, who probably ruled in 6th century BC. He made a departure from the ‘tribal’ institutions of curia and gentes, and instead divided the military based on the individual soldier’s possession of property. In that regard, the Roman army and its mirroring peace-time society, was segregated into classes (classis). According to Livy, there were six such classes – all based on their possession of wealth (that was defined by asses or small copper coins). 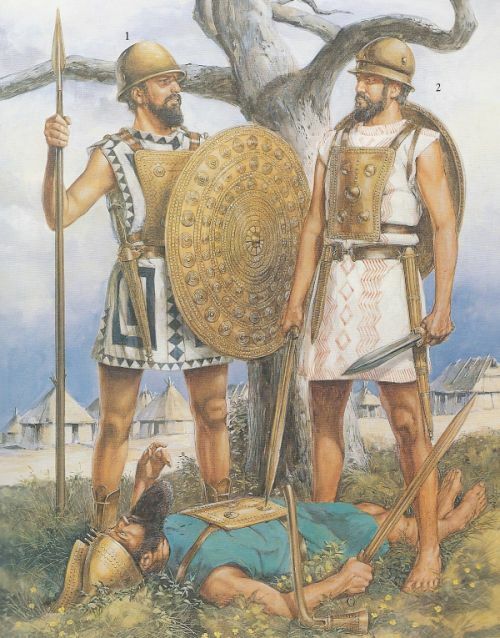 The first three classes fought as the traditional hoplites, armed with spears and shields – though the armaments decreased based on their economic statuses. The fourth class was only armed with spears and javelins, while the fifth class was scantily armed with slings. Finally, the six (and poorest) class was totally exempt from military service. This system once again alludes to how the early Roman army was formed on truly nationalistic values. Simply put, these men left their homes and went to war to protect (or increase) their own lands and wealth, as opposed to opting for just a military ‘career’. But the greatest strength of the Roman army had always been its adaptability and capability to evolve. Like we mentioned before how the early Romans from their kingdom era adopted the hoplite tactics of their foes, and defeated them in turn. However by the time of the first Samnite War (in around 343 BC), the Roman army seemed to have endorsed newer formations that were more flexible in nature. This change in battle-oriented stratagem was probably in response to the hardy Samnite armies – and as a result, the maniple formations came into existence (instead of the earlier rigid phalanx). The very term manipulus means ‘a handful’, and thus its early standard incorporated a pole with a handful of hay placed around it. According to most literary evidences, the Roman army was now divided up into three separate battle-lines, with first line comprising the young hastati in ten maniples (each of 120 men); the second line comprising the hardened principes in ten maniples; and the third and last line consisting of the veteran triarii in ten maniples – who probably fought as heavy hoplites (but their maniples had only 60 men). Additionally, these battle-lines were also possibly screened by the light-armed velites, who mostly belonged to the poorer class of Roman civilians. Suffice it to say, a maniple was a far more flexible formation than the ‘solid’ yet (occasionally) unwieldy phalanx. More importantly, these formations, collectively called the triplex acies, allowed for a battlefield system of reserves being deployed for better tactical advantage. For example, when the front-lining hastati was drained of his strength during the heat of the battle, he could fall back upon the reserve lines of the elite triarii. The well-armored veterans were then deployed forward in a cyclic manner – thus resulting in a fresh batch of troops countering the exhausted (and usually less-organized) enemy. This simple yet effective tactic changed the outcome of many a smaller battle in 4th century BC. Illustration by Peter Dennis. Credit: Warlord Games Ltd.
As the Roman realm continued to expand at a rapid rate, especially during and after the conclusion of the Second Punic War, the Romans encountered larger armies of the more organized military powers of the contemporary times. By 2nd century BC, the maniples were simply not ‘big’ enough to be deployed in mass scale in battles. So again, as a reactionary measure, the Romans (gradually) moved away from a pseudo-class based system, to induct a collective solution for their armies. The result was the cohort – a flexible group of around 480 men who were armed and armored in a similar fashion. Ten such cohorts made a legion, and thus the later Roman soldiers are simply known as the legionaries, as opposed to individualistic categorization like hastati and triarii. For all-intents-and-purposes, the Roman legionary was a professional soldier of the ancient times – recruited (and sometimes conscripted) from different parts of the Roman Republic (and later Empire). And befitting a professional soldier, the green recruits who were successfully enlisted as legionaries had to go through a stringent training period of 4 months. During this training ambit, each soldier was given the unenviable task of marching 29 km (18 miles) in five hours with regular steps, and then 35 km (21.7 miles) in five hours with faster steps – all the while carrying a backpack that weighed 45 lbs (20.5 kg). This weight was intentionally allotted for increasing the endurance level of a legionary, and thus added to the overall weight of the panoply worn by the soldiers in their full gear (the weight of the lorica segmentata armor alone might have gone beyond 20 lbs). As expected, the ‘slowpokes’ were severely beaten by centurions and officers with their staffs. Interestingly enough, many of the similar ‘regimens’ are preserved through our modern military culture – with elite forces of some countries trained via such rigorous boot camp methods. Lastly, it should also be noted that a Roman legion was mostly independent from its peer divisions, and thus served as a mobile field army usually recruited from their specific native regions. Furthermore, each legion also comprised an additional division of cavalry (with their own officers) and other dedicated units. The latter included the immunes – a group of highly trained specialists ranging from doctors, engineers to architects; and the calones – who were servants and slaves. Edwin Smith Papyrus: The World’s Oldest Known Surgical Treatise, And Yet It Might Be A Copy!